Langan's Restaurant, London, until 2012. Royal Academy, Somerset House, London, 1831, no. 33. 1836, (reprint 1978), vol. 1, p. 232.
in 1769 to 1904 , London, 1905 (reprint 1970), vol. 4, p. 230. Member of the Academy in 1792 and was elected an Academician on February 10, 1794.
use was made of the instruction which Westall was able to render his Royal pupil." Retzsch produced a series of prints taken from scenes in Goethe's drama (figs. 1 and 2). appearance of Margaret in the background. famous actor Mr. Terry both spoke the Prologue and played the role of Mephistopheles. derived from the same source was also staged there in 1833. Faust: What is that yonder? Mephistopheles: Mark her well. It is Lilith. Mephistopheles: Lilith, the first wife of Adam. She will not ever set him free again. Seem to be tired with pleasure and with play. Come, let us to it. We shall have rare fun. Faust: What female form is that? The passing youth she holds him sure. 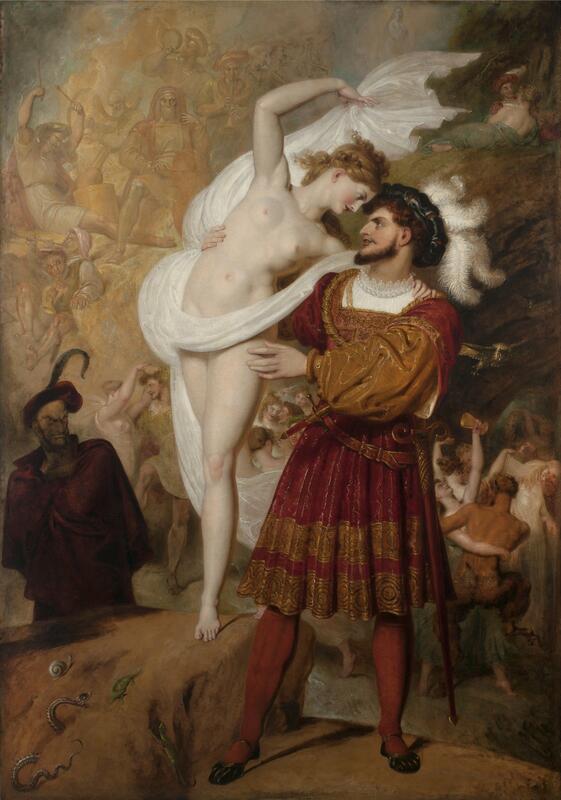 intrigued by the subject and sought to make Faust’s partner the most seductive of women. beneath the vault of Heaven is blown! Streams the whole mountain along. Get used to this damned scraping. cloak, observes the attempted seduction with glowing red eyes. Robert Rosenblum described her) in his painting of ca. 1790 now in the Tate (fig. 11). several works by the Pre-Raphaelite painter Dante Gabriel Rossetti.